Sometimes we get caught up in the crazy expensive products and places we come across and often forget that very few of us can actually purchase and enjoy them. So lets calm down here and get back to basics and remember that really we only can afford to buy the occasional iPad case and belt....so with that in mind, here is a great DIY product we can get behind. 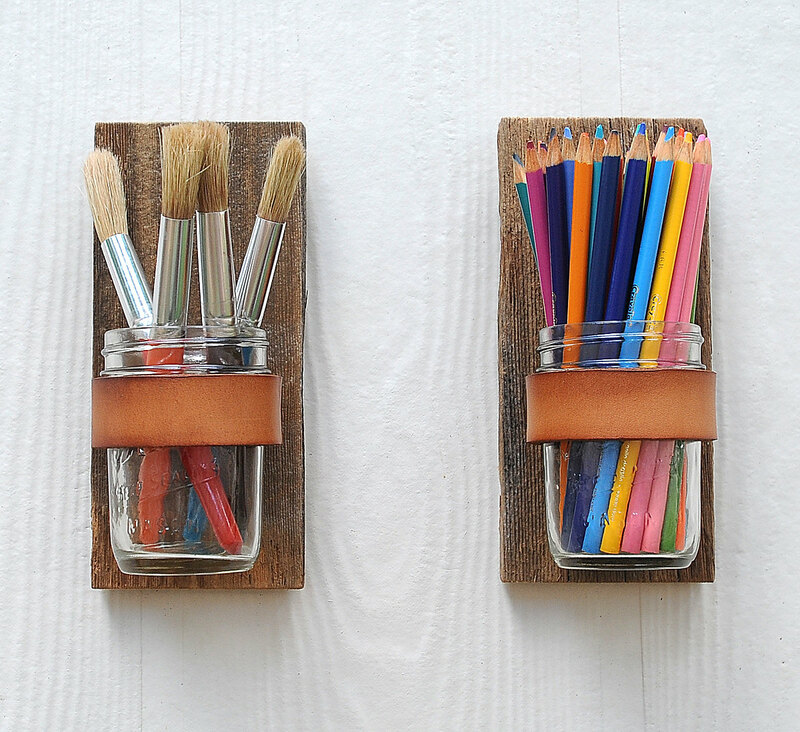 Branded leather mason jar wallsconces to hold your various art supplies, cotton balls, candy etc. created by a couple saving money for their wedding. Available here.